Math Mayhem individual competition winner Derek Michael of Absegami High School stands with Stockton professor of mathematics and Math Mayhem coordinator Chia-Lin Wu. 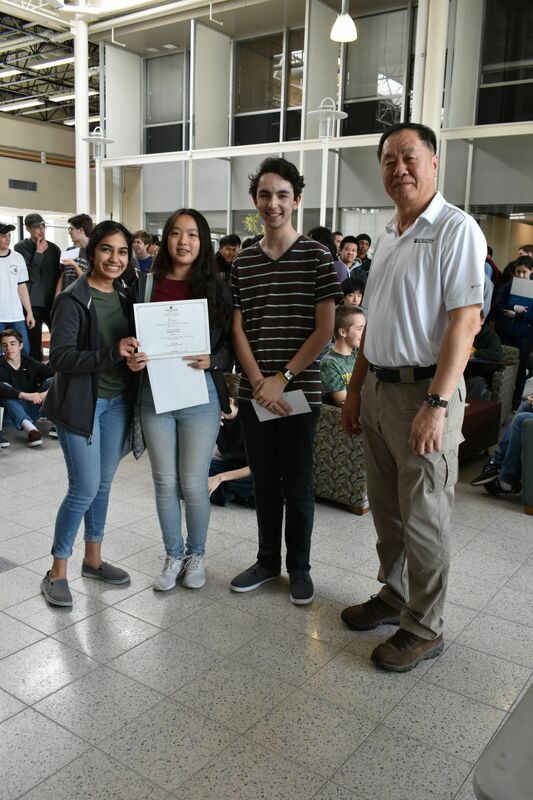 Math Mayhem winning team from Egg Harbor Township High School consists of Sakhi Shah, Vicky Zheng and CJ Faulhaber with Stockton Professor of Mathematics and Math Mayhem Coordinator Chia-Lin Wu. 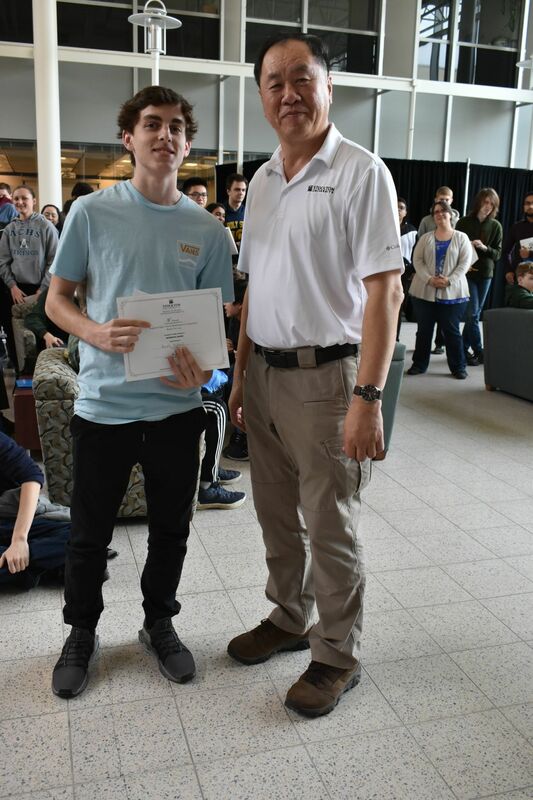 GALLOWAY TOWNSHIP — Students from Egg Harbor Township, Absegami and Clearview Regional high schools took home awards in the eighth annual Math Mayhem tournament held March 30 at Stockton University. The Egg Harbor Township team of Vicky Zheng, CJ Faulhaber and Sakhi Shah took home first place in the group competition. The Egg Harbor Township team of Aidan Himley, Sheikh Mahmud and Eddie Tran took second place, and the Absegami team of Sydney Mullin, Janvi Patel, and Derek Michael placed third. The 13 participating high schools this year were Absegami, Oakcrest, Cedar Creek, Ocean City, Mainland Regional, Atlantic County Institute of Technology, Egg Harbor Township, Atlantic City, Holy Spirit, Clearview Regional, Pilgrim Academy, Middletown North and St. Augustine Prep.